Nature is all around us, and sometimes, some of the most beautiful and appealing designs imaginable are right there in front of us, represented as a tree, a flower, or even perhaps a leaf. 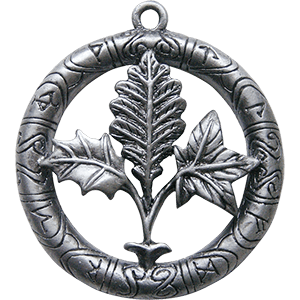 The elves, in all their ageless wisdom, recognize this, and have passed on that knowledge to us in the form of our elven and nature inspired jewelry section. Elves were, traditionally in fiction and fairytale, fantastic craftsman whose every work often incorporated some aspect of nature. Even their weapons and armor bore symbols and shapes borrowed from nature, but none showed this as strongly as their jewel-craft. And our own elven jewelry recreates this classic style. 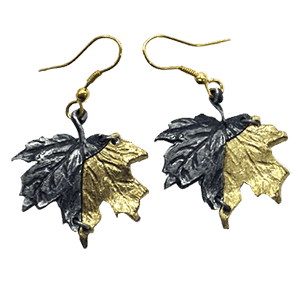 Woven into every elven pendant and every pair of elven earrings are symbols of nature, some subtle and some obvious. 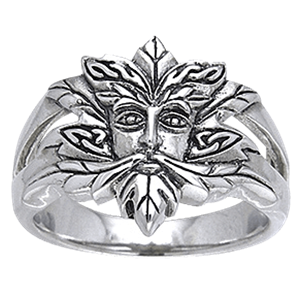 Every piece of natural jewelry offered here is a stunning example of fantasy jewelry at its finest, and in spite of their seemingly elfish origins, they are so much more than just mere pieces of costume jewelry. The natural rings and natural earrings we offer are perfect for anyone to wear out as a part of their day-to-day fashion, showing of an elegant yet natural style. Sometimes simple, sometimes complex, and always stunning, you are sure to find something here in our elven and nature inspired jewelry section that grabs your attention and holds it. Let the leaves of the forest make your next fashion statement when you wear our elven and nature inspired necklaces. In this category, find elegant fantasy jewelry pieces based on the beauty of flowers, leaves, and all things earthy. Shop maple and oak leaf necklaces, flower necklaces, and chokers accented with curling vines here. We offer a wide range of necklace styles and variations in different fine materials, such as pewter, white bronze, sterling silver, brass, and copper. 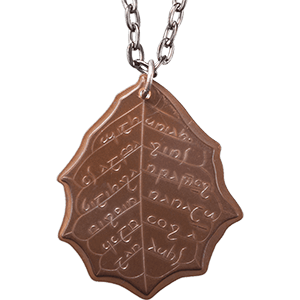 Shop all our leaf themed necklaces here, perfect for accenting an elven ensemble or adding something unique to your everyday look. Add a touch of nature to everyday or special occasion looks with our selection of elven and nature inspired hair accessories. 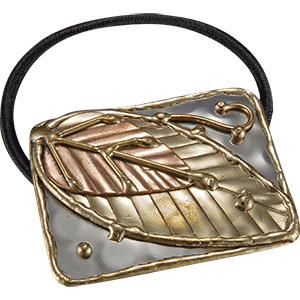 Go bold with leaf barrettes and other ornate hair pieces decorated with artistic leaves of the forest, or effortlessly add a touch of magic to your look with a mixed metal leaf ponytail holder or an elven headband. 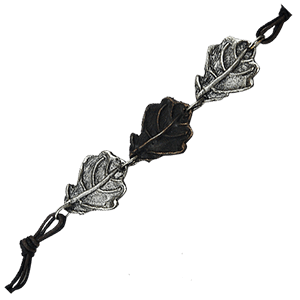 Shop elven hair accessories here as well as forest inspired hair accents that will transform any look into that worthy of the queen of the forest, many accented with fine metal and artistic designs.